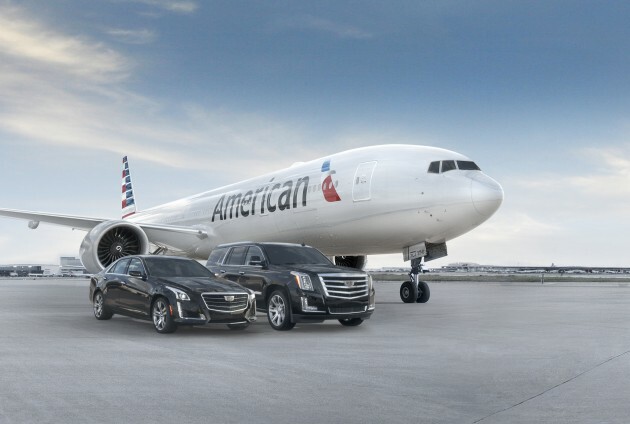 General Motors today announced a partnership between Cadillac and American Airlines that will offer a wide range of benefits to travelers. Currently, the two companies offer a luxury transport system at LAX in Los Angeles, but the new partnership will expand the program to LaGuardia Airport, JFK International Airport, and Dallas/Fort Worth International Airport, assuming the program receives local approvals. This program offered by Cadillac and American Airlines locates any ConciergeKey members that have really small windows of time for transfer and personally escorts them to their gate of departure—in style, either in a CTS, SRX, or, if they’re lucky, an Escalade. But it’s not just ConciergeKey members reaping the benefits. The collaboration also benefits AAdvantage members, who can extra AAdvantage miles just for testing out a brand new Caddy—that’s 7,500 AAdvantage miles just for calling a service desk, registering a time to test drive the model, and actually following through with it. Expect even more benefits to emerge from the partnership between Cadillac and American Airlines in the coming months.